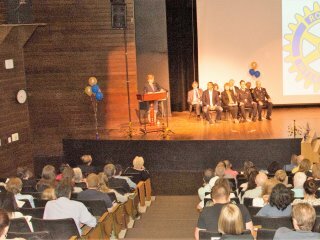 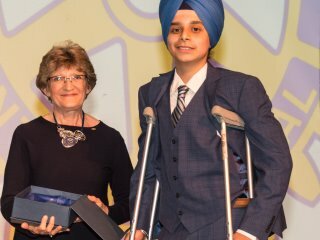 Thirty-four young people who have helped without seeking personal reward or accolades throughout the Delta, BC community, who have demonstrated compassion and empathy for others, acted on a global level, and shown inner strength in overcoming adversity and setting an example for others were recognized at the at the ninth annual Delta Rotary Youth Awards on June 2, 2017. 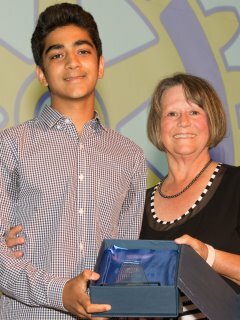 Past District Governor Penny Offer presented some of the awards on behalf of the Rotary Club of Ladner. 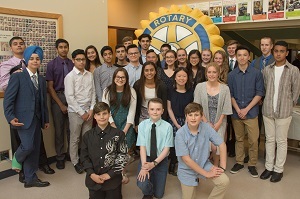 The Rotary Clubs of Tsawwassen, Ladner and North Delta, in District 5050, sponsored the event at North Delta Secondary School. 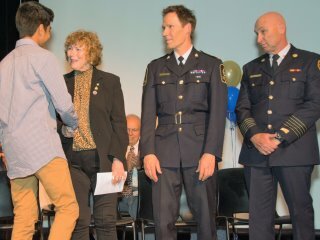 On hand to celebrate their accomplishments were North Delta MLA Ravi Kahlon, Mayor Lois Jackson, Delta Police Chief Neil Dubord and Fire Chief Dan Copeland. 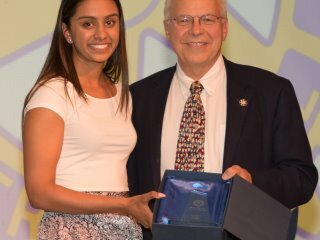 The three young women who have led IDEA (Inclusivity, Determination Encouragement and Altruism), a Friday after school drop in program at Sands Secondary School for as many as 75 students -- Yajya Rishim, Sonum Rana and Leah Wong – received the Linda Ottho Leadership Award, in memory of a former Rotary Club of Ladner President, for their passion for volunteerism.